Etihad and Qantas both fly their stunning A380s with ultra-luxurious First Classes out of London. You can get on both for only 40,000 American Airlines miles one way, and you can do it while avoiding the big London departure tax. Etihad First Class on its newest A380 has a couch that seats several people and a separate bed and costs only 40,000 American Airlines miles between London and Abu Dhabi. Etihad’s fully enclosed suites are the most spacious in the sky. Award space is widely available on the A380 between London and Abu Dhabi and from there to the rest of the Middle East, Indian Subcontinent, and Maldives for zero extra miles. 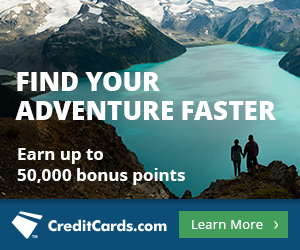 If you have the Citi® / AAdvantage® Platinum Select® MasterCard®, which comes with 50,000 bonus American Airlines miles after spending $3,000 in the first 3 months, you will even get an automatic 10% rebate on your award, so the final cost is 36,000 miles. Qantas First Class costs only 40,000 (36,000) American Airlines miles between London and Dubai. Qantas First Class is widely available between London and Dubai, Dubai and Sydney, and London and Sydney for low mileage prices. The problem is that if you fly either of these beauties on an award beginning in London, you’ll pay $273+ in taxes. The UK charges an arm and a leg to departing passengers (but not to arriving or connecting passengers), and extra if you fly in a premium cabin. You can fly these products from Abu Dhabi or Dubai to London and avoid the departure tax in London. But what if you’re going east? I’m looking at flying something like London to Abu Dhabi in Etiahd First Class on the A380 and Abu Dhabi to Mumbai in Etihad First Class on the 787. But I don’t want to pay almost $300 in taxes. If I just start the award anywhere else in Europe and connect in London, I can save a bundle. For instance, starting in Dublin and flying to London drops the taxes $273 to $62. Flying the first leg on British Airways does add in a $40 fuel surcharge, but I’d still come out $170+ ahead. And I could start in other countries and look to fly other partners than British Airways like airberlin or Finnair to lower taxes further and eliminate fuel surcharges. We also know that The US Airways® Premier World MasterCard® will no longer be offered to new applicants as soon as the US Airways and American Airlines frequent flyer programs integrate, some time before 2015. All US Airways miles not redeemed on the US Airways chart by the time of integration will become American Airlines miles, and American Airlines has committed to not devaluing its award chart at the time of combination. The two types of miles are roughly equal in value. 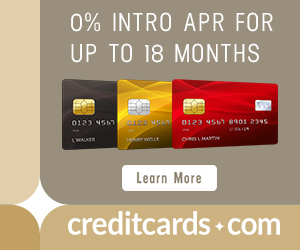 Getting all three cards now and meeting their spending requirements means you will have at least 156,000 American Airlines miles by June. How are you finding those flights? I haven’t been able to see them on the American Airlines website. The only partners I’m finding are: British Airways, Airberlin and Royal Jordanian. Use the British Airways website. They show all OneWorld availability. What is etiquette of having guests in coach join you? I’d like to book 2 seats and save miles by just having my companion sit in the suite w/me (except during takeoff/landing). Would the FAs frown/forbid them from staying in the suite w/me for the flight? I do not know. I would guess it is not allowed. Maybe contact Etihad and ask the etiquette. The son would not sit on his own in any case in his seat more than 5% of the flight time.. And logically does not looks like it makes sense to get an extra business class ticket just for the sake of a ticket being required for a 2 yr old and above. Thank you for informative post above. I do not know. I would contact the airline and ask if I were in their situation.